#behindthefrow is a feature in which PTL gets people to comment on their experiences of fashion weeks around the world. From chat on the shows they see to the stylish people they meet along the way, it’s a chance to have an inside look into what really goes on behind the frow. That and it’s a chance to see some beautiful clothes. 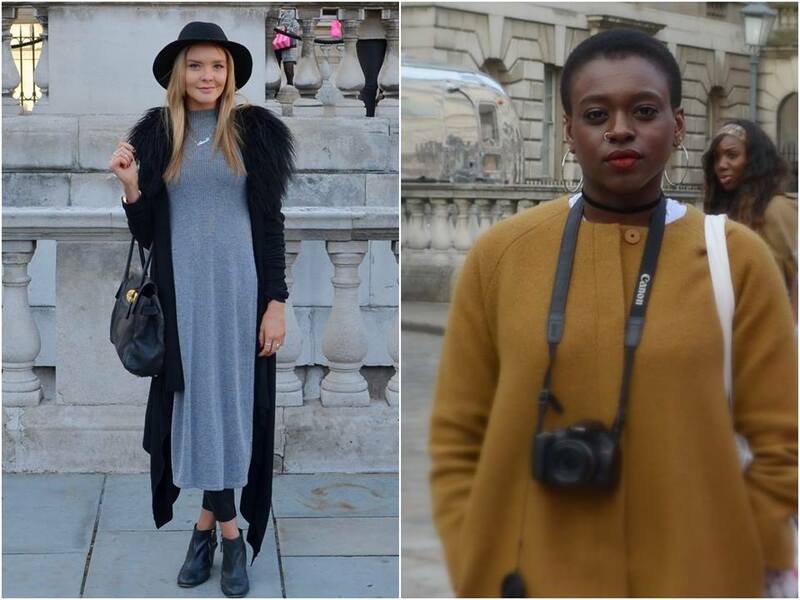 You may remember that last year I went street styling around Somerset House during London Fashion Weekend, and I got lots of pictures of the fash pack looking fab. This year, we at PTL took it one step up, and we went to go see some shows – as well as taking pictures of the fash pack looking fab. Whilst we were there, it was a beautiful day (it started thundering the minute I stepped off the tube back in Camden), and seeing the SIBLING show was pretty exciting. We weren’t FROWing, but we were pretty damn close, and that’s good enough for me for my first one. Here’s Josh and me, standing next to our LFW goodie bag (filled with such treats as Kleenex and dried mango – model snacks?) and trying to look as sass as possible. Last year I found that the street style bloggers were out in full force, photographing anyone and everyone, including me, which was a weird and slightly awkward experience that made me empathise with those I stop on the streets myself. 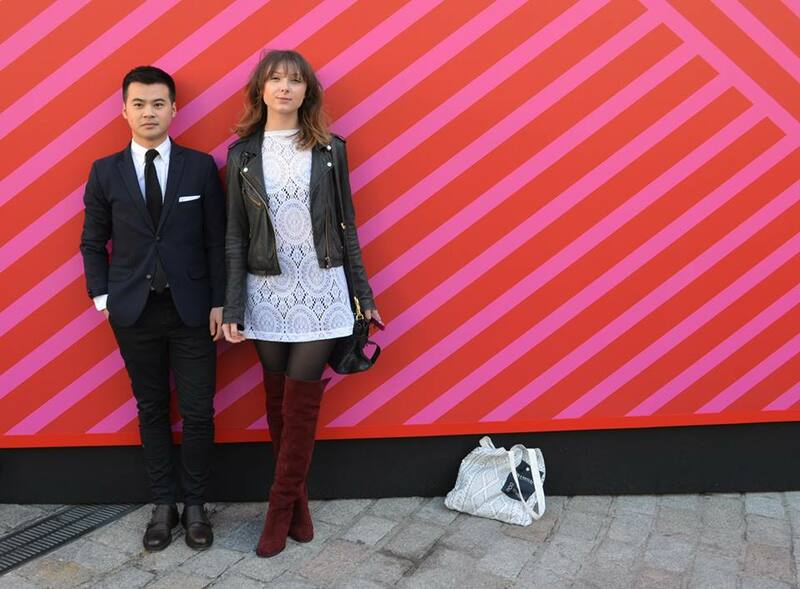 The awkwardness of this hadn’t faded a year later, and so I’m convinced that any street style blog I make the cut on from this day I’ll be blinking/squinting/doing something strange with my mouth. But c’est la vie, eh? The miraculous weather meant that sunglasses were a requirement, and wasn’t I glad of it, because these ones (top left) are possibly the greatest pair I’ve ever seen. That’s a bold statement, but I’m sticking to it. Such elegance, such grace, such glamour. The shoes on display were also ridiculously covetable, and the outfit that those little cut out boots belonged to was my favourite of the day. My second favourite was this one on Toluwa, because the coat. And the giant hoops and the beautifully dark lipstick. Whilst waiting for the SIBLING show, we looked around the numerous pop up stalls that had taken residence in Somerset House, and I seriously considered blowing the rest of my student loan on this fantastic hologram skirt that would’ve made me feel like I was wearing a CD. Which is definitely something I’m interested in. Very popstar-just-finished-filiming-a-music-video kind of chic. Alas, though, the show was about to start, and so I was thwarted in (read: saved from) my magpie-ish desires. As lame as it sounds, seeing an actual real life fashion show really excited me. 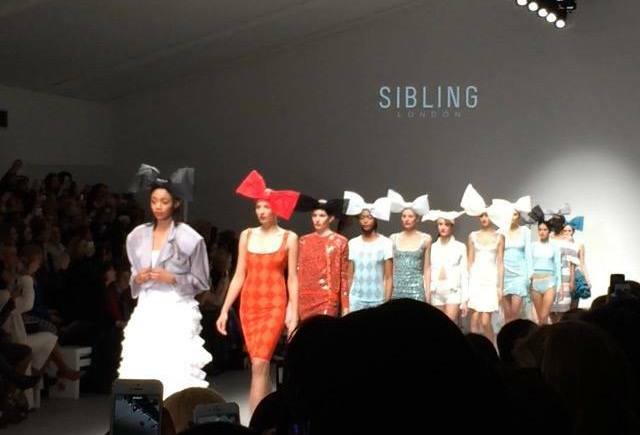 It being London Fashion Weekend, the collection was for this season, and it was full of gingham bikinis, giant bow hats and the best use of orange I’ve ever seen (in a denim twinset, naturally). The finale was done to Madonna’s Holiday, which was fantastic as it not only fitted the collection perfectly, but it also reminded us of Madonna’s cape incident at the Brits (which was proof that falling over is always funny, but more than that, that even that can’t change the fact that Madonna is the queen). Seeing just a tiny glimpse into the way a whole collection comes together for a show made me really appreciate how much goes into it, from the tiny little things like all the models walking in unison to much the bigger things, such as the similarities that ran through the entire collection ever so subtly and gave the whole thing a wonderful sense of unity. It was great to see, and it put me in complete awe of brands like Chanel and Dior, who put on work-of-art-grand-scale shows at least four times a year. The day came to a close with lots of free popcorn and several more wistful glances at the clothes (both those on sale and on the people in attendance), before we left just as the sun was going down to go back to our ordinary, university lives. It definitely wasn’t your average Sunday. Hannah B is the Editor of ART & FASHION at PTL. When not thinking about fashion, she can probably be found writing about feminism or tending to her fringe. Whilst deep down she’d like to be Audrey Hepburn when she grows up, she’s realised with age that this is a rather complicated aspiration. As such, she’ll probably try and pursue something in publishing upon leaving the cosy world of education. I read this article and found it very interesting, thought it might be something for you. 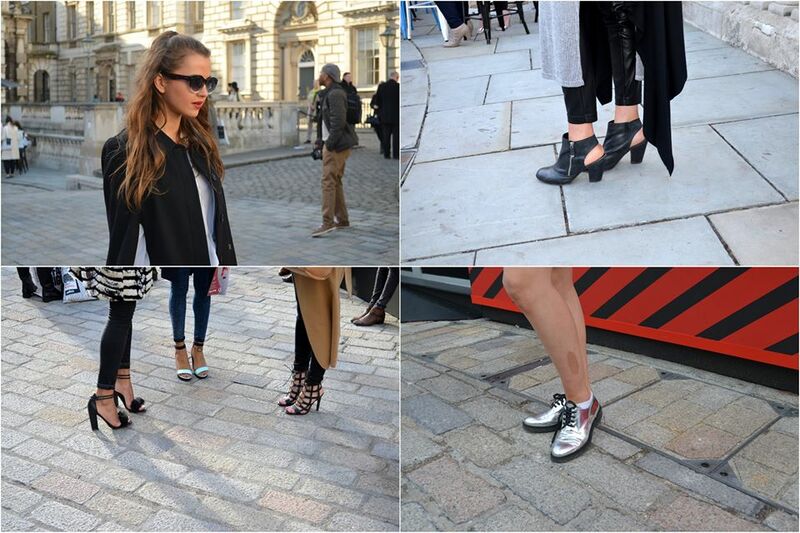 The article is called LFW, AW 2015 – #behindthefrow and is located at http://prancingthroughlife.com/2015/03/03/lfw-aw-2015-behindthefrow/.